Blackboard, whiteboard & magnet paints transform surfaces for convenient note-taking, to display ideas and tasks, or to store plans and photographs for projects. 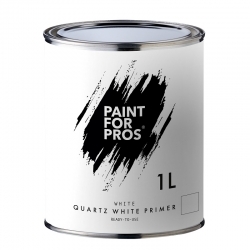 Our range of creative coatings apply to interior surfaces such as walls, tables, doors and kitchen cabinets for conveniently-placed notice areas to take notes or store photographs and plans, or for children to play and learn. Browse our range today and discover a more convenient way to display your ideas and brainstorm for more, or call our technical support team for more information to find the right product for your project. 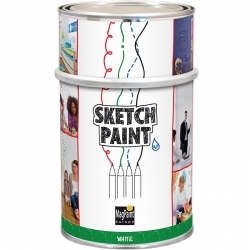 Use Magpaint Europe Sketch Paint to turn ordinary non-porous surfaces such as doors, walls, kitchen cabinets, furniture, etc, into writeable surfaces. 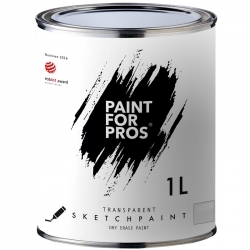 The smooth glossy finish is easy to clean, ideal as a children's play area or for taking notes such as reminders, shopping lists and recipes in kitchens, offices, staff rooms, etc. 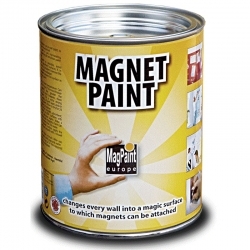 Neodymium Magnets for use with Magpaint Europe's Magnet Paint and Magnet Plaster applications. These superior magnets can hold up to 25 sheets each, making them ideal for presentations in workplaces, recipes and notes in kitchens, etc. Available singularly or in a pack of 4. 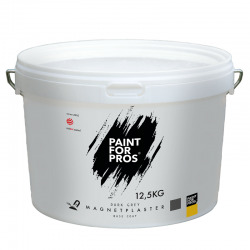 Magpaint Europe Self-Adhesive Magnetic Tape simply attaches to the back of items to make them magnetic, attracting to metal surfaces such as filing cabinets, and is perfect for use with Magnet Paint and Magnet Plaster. Magpaint Europe Sketch Marker Pens are specifically designed to work well with Sketch Paint coatings, allowing ideas, messages, reminders and appointments to be made on the dry-erase surface. Available in individual colours as well as multi-packs of 4 black markers, or 1 each of green, blue, red and black. 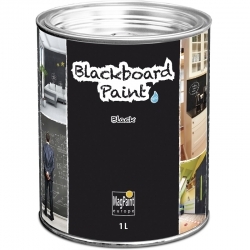 Our range of blackboard, whiteboard & magnet paints can transform surfaces such as walls, doors, kitchen cabinets and tables into surfaces for writing on or using magnets for storage or create displays. Using paints over traditional writeable and magnetic notice boards means you can create a surface as large as the area being covered and any shape, working around obstructions such as beams or curved walls. Professional spaces such as offices, meeting rooms, school classrooms and universities can display plans, ideas and methods clearer. Commercial properties in cafes and shops can convert surfaces into creative display areas for conveying information and promotions to customers. Child play areas and nurseries can protect walls by using them as creative spaces for children to draw on or learn with magnetic fun and alphanumeric shapes. 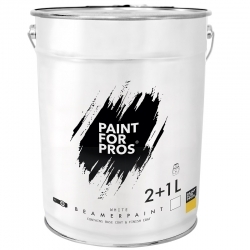 It's not just walls that can be coated - MagPaint Blackboard and Whiteboard paints can be used on most surfaces including kitchen cabinets, cupboard doors, tables, etc, in staff rooms, commercial kitchens or in the home for conveniently-placed note-taking for shopping lists, reminders and appointments. Magnetic notice boards can be created using iron-enriched coatings from MagPaint Europe that can be coated over with traditional wall paints or underneath wallpaper to attract magnets. Areas treated with magnetic coatings attract magnets and are great for displaying photos, posters, plans, etc, for information or to create eye-catching displays without marking the wall with adhesives or pins.